DHF continues spearheading the Kern Education Justice Collaborative (KEJC) –a network of parents, youth, legal agencies, faith-based and community organizations focused on bringing about education equity in Kern. Their target is the School-to-Prison Pipeline at Kern High School District (KHSD), the largest unified high school district in the state with over 37,000 students. The Local Control Funding Formula’s (LCFF) requires schools to gather community input through a process called the Local Control Accountability Plans (LCAP), which culminates in an annual budget. 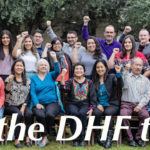 The DHF worked with parents and provided trainings on the mechanics of the LCAP process and encouraged them to push hard for equity in the allocation of Supplemental and Concentration Grant Funds (SCGF), which are intended by the LCFF to be allocated equitably for high needs students. The KHSD administrators were called to task for allocating a majority of the LCAP’s $37 million in SCGF on a system-wide basis. Rather than targeting allocations of funds intended for high needs students at schools with larger percentages of high needs students. One instance where the SCGF were not being used according to the spirit of the LCFF was in the 2015-16 LCAP allocation of $1.3 million dollars to Kern Learn, a program that would benefit mostly mainstream students rather than children with high needs. The community brought these concerns to the KHSD Board of Trustees and launched a campaign to raise public awareness. In a victory, the allocation for Kern Learn was removed in the 2016-17 LCAP. In addition, $1,900,000 over two years have been allocated to create parent centers with bilingual and culturally competent staff with a mandate to provide guidance for parents in advocating for their children’s education at every school site in the KHSD. We have asked KHSD representatives for transparency in regards to each high school’s share of SCGF. The spirit of the law mandates equity, and heavier allocations toward schools with more high needs students. KHSD’s current budgetary practices, however, do not allow the community to determine whether SCGF are being allocated equitably. Our push for transparency will continue in the 2017-18 LCAP cycle. Ongoing training on parents’ rights, the disciplinary process, and basic information about how schools are funded under the LCFF helped parents in Lamont, California to become actively engaged in the LCAP Process. The group calling themselves Parents Involved in Education (PIE) developed a collaborative partnership with the Lamont Elementary School District and made some important policy changes. The LCAP was translated into Spanish to increase parent engagement. Recommendations to implement Positive Behavior Intervention and Support (PBIS) and Restorative Justice practices resulted in the district approving funds to hire a PBIS staff Coordinator. DHF advocated for the passage of AB420 in 2014. There has, since, been a 40% statewide decrease of suspensions from 2011-2012 to 2014-2015 for willful defiance among K through 3rd grade students. Data for 2015-2016 is not yet available. DHF Education Director, Erika Brooks, and South Kern Organizer, Timo Prado, as part of a statewide coalition, sent letters and gave testimony to the State Education Board of Education to include suspension rates as an indicator of effective school climate in the Local Control Funding Formula (LCFF) formal evaluation. 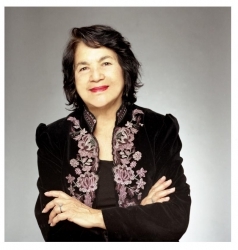 President, Dolores Huerta, provided testimony to the board in August. In September the board approved suspension as part of the LCFF evaluation metrics for school districts across the state. Prop. 47 requires that 25% of the financial savings to the state, from the decriminalization of certain felonies, be set aside for the California Department of Education (CDE). DHF and other organizations supported the successful passage of SB 527 (Senator Liu) to allow school districts and other local education agencies to apply for Prop. 47 CDE grant programs – Safe Neighborhood School Funds and Multi-Tier Systems of Support (MTSS) -which must be used for planning and implementation of evidenced based non-punitive discipline programs such as Restorative Justice and Positive Behaviors Interventions & Supports. Both are multi-million dollar grant programs. In June 2016 the Kern High School District (KHSD) passed a policy allowing non-staff Carrying Concealed Weapons (CCW) permit-holders on school grounds with permission of the Superintendent, a policy the DHF and the Kern Education Justice Collaborative vehemently opposed. In November, the KHSD Board of Trustees furthered the policy enacting a proposal allowing the Superintendent to select CCW permit-holding teachers and other staff to carry firearms on high school campuses as well. These policies put over 37,000 students at risk, and will do nothing to make campuses safer. KHSD already has a police force that is properly trained in the use of firearms. Putting more guns on campus only threatens to create more problems than it solves. Research shows that having ready access to guns increases the risk of homicide and injury by accidental discharge and that gun-violence disproportionately affects people of color. KHSD is a racially diverse school district with some campuses having ethnic minority populations of 89% or more. It will also increase liability costs. Allocations toward insurance companies likely be taken from general funds and away from classroom instruction. The KEJC held press conferences prior to the KHSD board meetings to rally the community to protest these dangerous policies. This served to raise public awareness through the media’s coverage of KHSD’s policies. The DHF and KEJC plan to launched and served a petition to the board asking KHSD to rescind these dangerous policies and return KHSD to a gun-free school zone. Please sign the online petition at tinyurl.com/stopKHSDguns.